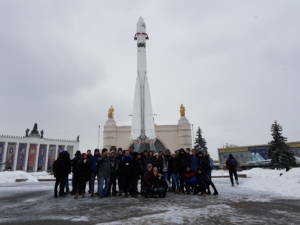 33 students of the scientific study programmes at Sci Tech Oranit returned recently from a five-day visit in Moscow, which was full of learning and excitement, revolving around the topic of space exploration. 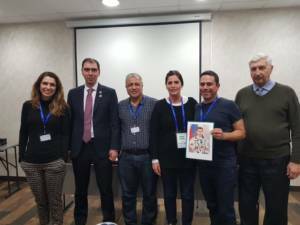 The student delegation was organized and mobilized as part of the ongoing development of scientific and technological exploration, which is a mainstay of the school’s pedagogical agenda. 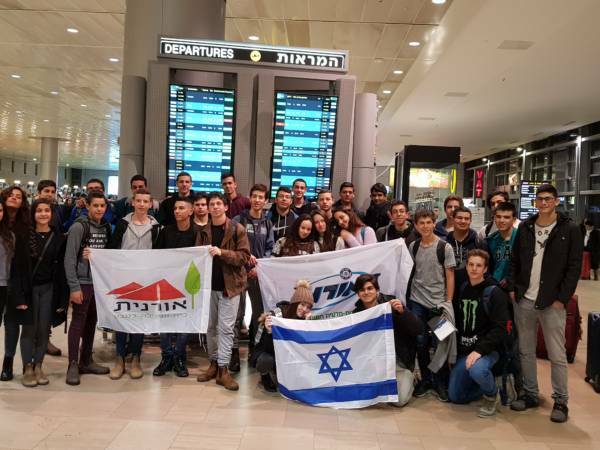 Building up to the trip, the students visited universities and research facilities, heard lectures, and even took part in leading and attending a parent-student event titled “Café Space”, which served as a preparatory meeting for the delegation. The group’s fascinating journey included audiences with Cosmonauts and astronauts, tours of the Russian Space Center, captivating lectures, and hands-on experiences. During the journey, the group touched on various topics: the essential roles of the Cosmonaut and the astronaut; biological experiments in space on plants, insects, and animals; the development of technological solutions; take-off ballistics; the development of communication technology; advanced navigation systems; the life-saving implications of detailed meteorological survey of Earth; and much more. The lectures included an overview of the means to the desired aim of sending a human being to Mars, and the differences between the landing on the moon and the proposed landing on Mars. The student observed the Soyuz spacecraft, and learned about its relations to the International Space Station. In particular, they learned about the spacecraft’s structure, and the daily life of the Cosmonauts who operated it. Alongside these lectures, the students got to visit the Memorial Museum of Cosmonautics, where they heard the story of the dog Laika, the first animal to go to space, as well as the stories of the Cosmonaut Yuri Gagarin, the first human in space, and of Valentina Tereshkova, the first woman to have flown to space. One of the journey’s highlights was a visit to the Russian Space center, where Cosmonauts get their training before going on space missions. During this visit, the students were exposed to some fascinating facts, including such phenomena as memory loss in space, and gaining a few centimeters in height. The maximum amount of space missions during one’s lifetime is six. Recovery and training between missions take about three years (one day of recovery on Earth for each day in space). As well as the educational contents imparted to them, the visiting students also had an opportunity to enjoy the local scenery and the rich, enchanting culture. They visited Moscow’s extravagant Metro stations, Lenin’s Mausoleum, the glorious Cathedral of Christ the Savior, The Pushkin State Museum of Fine Arts, as well as local markets and the soaring Clock Tower. The Red Square was bustling and buzzing in honor of the first space delegation – as well as the Moscow elections.